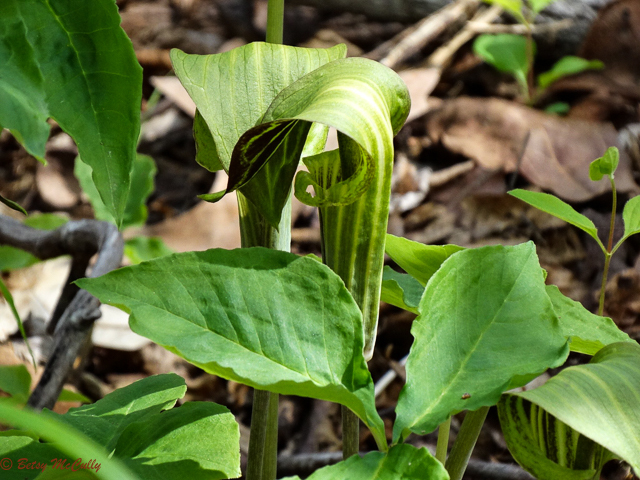 Jack-in-the-pulpit (Arisaema triphyllum). Araceae family. Bogs, wetland edges, stream edges, riparian forest. Widespread. Long Island, 2011.